MCLEAN, Va. – July 23, 2015 – Today, top executives of Northrop Grumman Corporation (NYSE:NOC) briefed media on a critical enabling framework for fifth-generation C4ISR, drawing upon the company's extensive range of integrated, end-to-end, cross-domain C4ISR capabilities. Gloria Flach, president, Northrop Grumman Electronic Systems, and Kathy Warden, president, Northrop Grumman Information Systems, both addressed the group assembled at the company's Center for Innovative Solutions (CIS). Other executives guided guests through an immersive mission scenario followed by interactive demonstrations of mission enablers that could be used to address the continuously evolving threats the nation's warfighters encounter in the battlespace. The integrated framework discussion highlighted opportunities to improve nearly every aspect of C4ISR. 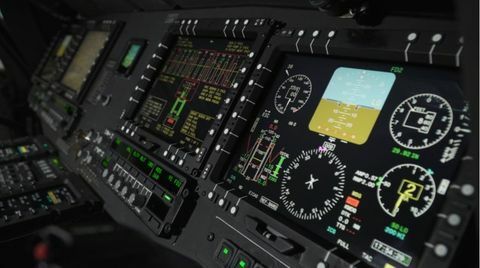 Northrop Grumman communications networks are a key enabler that seamlessly connect otherwise incompatible data links and voice waveforms. 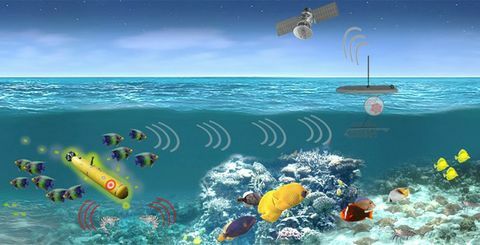 The company cited open integration as a way to more efficiently cross domains, from undersea to outer space and cyberspace. The company adds experience in the full range of sensor technologies, including radar, electronic warfare, infrared and visible spectra. "Everything we do for C4ISR is about increasing agile responsiveness," said Flach. "By fully integrating every facet – from sophisticated platforms and sensors to cutting-edge processing and communications – we can deliver the asymmetrical advantage that is going to make the difference in tomorrow's battlespace." "Our solutions offer speed of information, speed of decision and speed of action, all with open-architecture, vendor-agnostic systems," said Warden. "Cyber, and specifically cyber resilience, is both critical and fully integrated into everything we do." Programs and capabilities on display included the Ground/Air Task Oriented Radar (G/ATOR); Scalable Agile Beam Radar (SABR); Positioning, Navigation and Timing (PNT); Distributed Aperture System (DAS); Enterprise Airborne Gateway Network (EAGN); and Citadel. Northrop Grumman's additional capabilities include near-real-time fusion and dissemination of intelligence; expertise in stealth technologies from the B-2 bomber to avionics for the F-22 and F-35; cyber experience for a wide variety of federal government and non-defense customers; leadership in positioning, navigation and timing; and vast experience bringing existing technologies to new applications across multiple domains, such as adapting AESA radar for ground vehicle use. 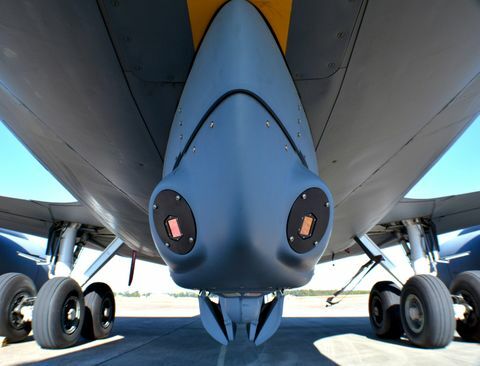 Northrop Grumman is also the only company that can bring the power of fifth-generation sensors and datalinks to fourth-generation systems. The CIS is a technology center where Northrop Grumman uses cutting-edge hardware and software to work and collaborate with customers to solve their hardest problems. It combines a virtual environment, collaboration space, and discussion forum with a deployment lab, command center, and modular command and control operations center to offer maximum resources for working with customers. The CIS also includes the Virtual Immersive Portable Environment (VIPE)/Holodeck, where users can interact with an environment projected 360 degrees around them.